Top 7 Autumn Updates For The Home! Autumn is a season full of colour and freshness with the weather cooling down and the relaxed season of summer passing. April is a particularly busy time at home for families, with kids at home for school holidays and guests coming over for Easter celebrations. Even though the weather might be fading, you can always keep your home bright by adding some new eye-catching pieces and the kitchen is a great place to start. 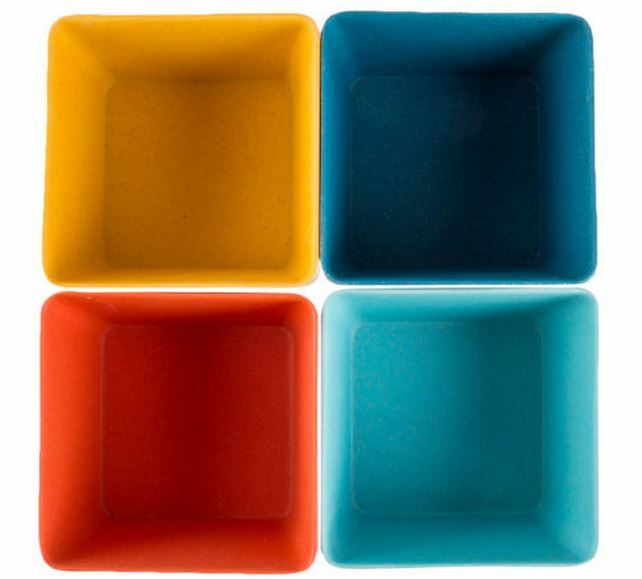 Bold kitchen accessories such as these bamboo fibre snack bowls are perfect for entertaining over Easter. Autumn is also a great time of year to get into the baking mood so picking up some fun baking goodies is always a nice touch. Who doesn’t love the smell of freshly baked cookies in the house! As the nighttime temp starts to drop, especially in the lower half of the country, it’s time to bring out the throw rugs to add a little warmth to your living room and bedroom. We love Sheridan throw rugs, made with 100% luxury Egyptian cotton. Ultimate softness for the colder seasons to come. If your home has floorboards, another way to bring warmth into the house is by adding or updating with a seasonal rug. Pastel colours are great for the bedroom because they are soft and plain but still playful. 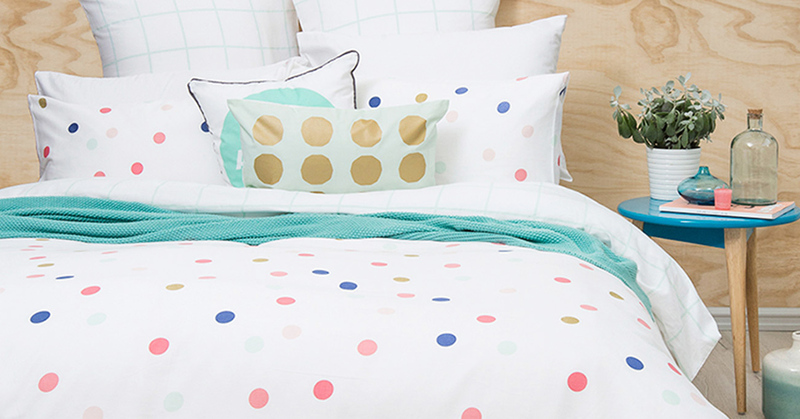 A bright new bedspread will liven up and breathe new life into the room. Go for interesting patterns and pops of colour to really make a statement. To update your bedroom decor, go for natural tones and greenery to bring the earthiness of the autumn season into the home for a fresh feeling. When it comes to juicing, the most common trend these days is cold press. 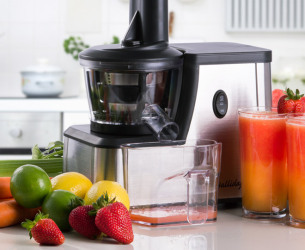 Cold press juicing involves slowly squeezing and pressing the juice out of the fruit rather than using high speed blades. This way the juice retains quality nutrients and enzymes that pack a healthy punch into your glass of juice. Upping your intake of orange juice with give you a good dose of Vitamin C to help you and your family prepare for the cold and flu season, so get some fresh juice habits into your home. 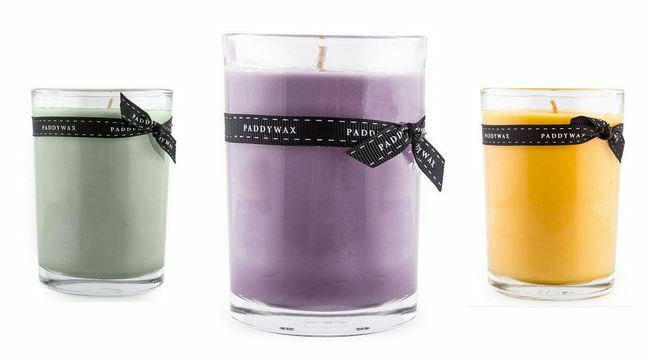 Burning candles will release essential oils and wonderful fragrances into the air and give your home an inviting scent. Now that is it cooler, it’s more appropriate to be burning candles than in Summer. Or, if your not a candle person, we love diffuser reeds, which slowly release scents into the air as the aromatic oils are soaked into the bamboo reeds. As April is the best month of the year to plant bulbs, get out into the garden this season and add some new bulbs to your flowerbeds to ensure healthy blooms in Spring. With a few extra days off over Easter, there’s no better time for some gardening updates to last through Winter. What’s your go-to update for sprucing up your home in Autumn? Share your tips with us in the comments below! Next Next post: How to Plan an April Fools’ Day Prank Like Google!